It’s easy to forget that This Way North is a two-piece band. 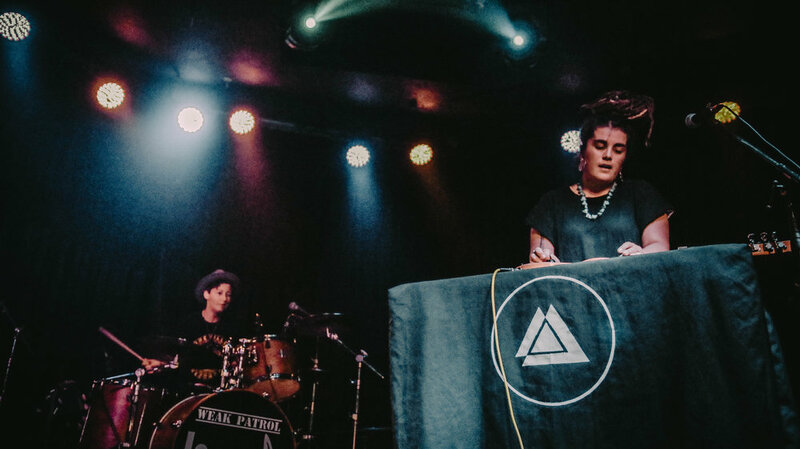 With Cat Leahy on drums and Leisha Jungalwalla wailing on her electric guitar, the duo create a uniquely full, expansive sound that leaves the audience stunned. Hailing from Australia, ironically they first met in northern Canada at the renowned British Columbian ArtsWells Festival. Realizing they lived 500m away from each other in Melbourne, they made plans to jam back home and This Way North was born. 2018 saw the release of the duo's second EP, recorded in Toronto with Canadian producer Derek Downham (Eagles of Death Metal, Broken Social Scene, Holy F*ck). The EP is a six-song collection that showcases the band’s evolution from the rootsy rock of 2016’s EP to a new realm of luscious, groove-laden, harmony driven alt-pop and synth-rock. Currently of no fixed address, Cat and Leisha are enjoying making a home for themselves on the road and the stage. Whether in a local dive bar or at a national festival, This Way North bring more passion and energy than a 10-piece band, drumming up a contagious euphoria. The past two years have been huge for the duo, since they made the decision to concentrate on playing music full time they have added over 200 live shows across Australia, New Zealand and Canada to their ever-expanding resume. 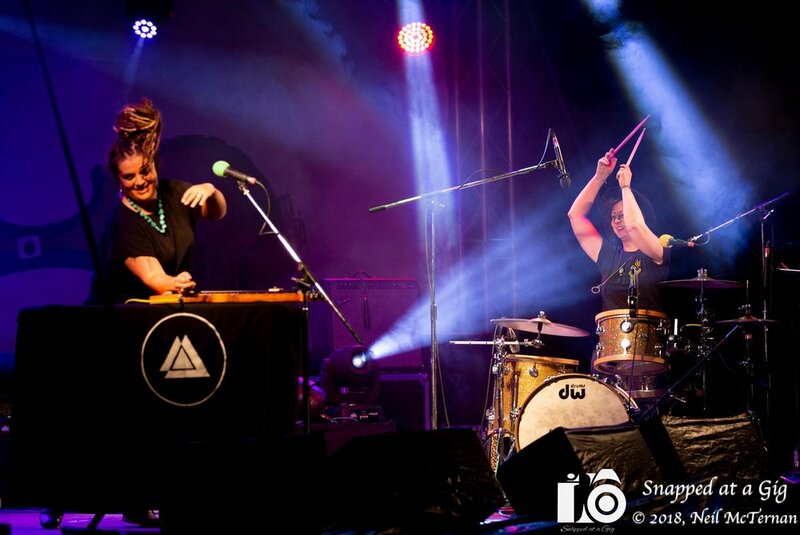 This Way North have brought their magic to audiences from the Yukon to Iqaluit, Nunavut to Haida Gwaii, across Australia's sweeping central desert and down to the geysers of Rotorua New Zealand. With their reputation for powerful live shows and great radio support back home, This Way North bring their love affair with Canada, and big sound, inviting you to turn up the volume and let loose. Recorded live at Yikesville Studio, Yarraville. This is the live version of the bands studio single "Make It Work" out 24 Nov.